On Wednesday, Pearl Jam's Stone Gossard will take the lead - working with Mayor Tom Menino, corporate sponsors, and local volunteers to plant trees right here in Mattapan. Volunteers who take part will receive a free pass to see Gossard, one of America's most talented guitarists, jam out tommorrow night at the Wilbur theater. For the daytime community greening events, corporate sponsor Timberland will partner with American Forests, the non-profit organization focused on planting trees for environmental restoration. Timberland and American Forests will enlist approximately 200-300 volunteers to help plant trees in each city with the aid of local partners. In Boston, EarthWorks volunteers will assist in this project. Following the tree planting service Stone Gossard (Pearl Jam) will perform an exclusive ‘Dig It’ concert at the Wilbur in Boston tomorrow night with special guests that include The Hank Khoir and Vince Mira. "I am excited about the opportunity to not only share my new music with all the hardworking ‘Dig It’ volunteers, but to see first-hand what Timberland and American Forests can achieve in each of these cities," said Stone Gossard. "We are all going to roll-up our sleeves to make a difference, and a have a great time doing it." 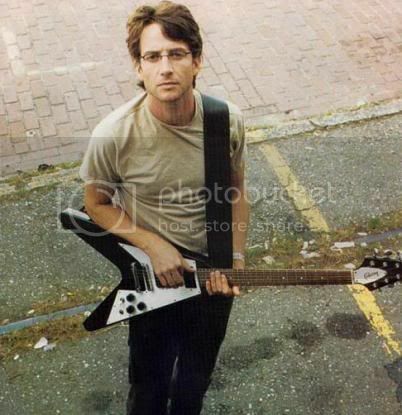 About Stone Gossard: An epic American musician and fiery activist, Gossard is one of the greatest living rock guitarists. Born and raised in Seattle, Gossard has played in Pearl Jam, Temple of the Dog, Green River, Mother Love Bone, the Ducky Boys and now as a solo musician. Not many people realize that eight of the eleven tracks on Pearl Jam's seminal debut Ten were musically penned by Gossard, including "Alive", "Even Flow", and "Black". Now, that's a pedigree! 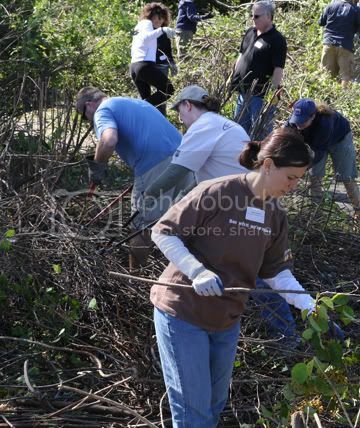 Volunteer tomorrow - Click Here. At the heart of the Boston folk scene is the best Boston Album Release to date in the young 2008. It's "The Taxidermist" by Andy Arch whose nom de guerre - Tom Thumb - serves him well. Arch has a very pleasant, easy-going nature. But this appearance belies the fact that this artist is a ferocious tiger of a musician - a quality that emerges during performances and recording. Andy performs all parts and instruments on the tracks on "The Taxidermist" with few exceptions. They have a term for this - I believe it's called genius... (But I won't say that because it would upset Andy.) 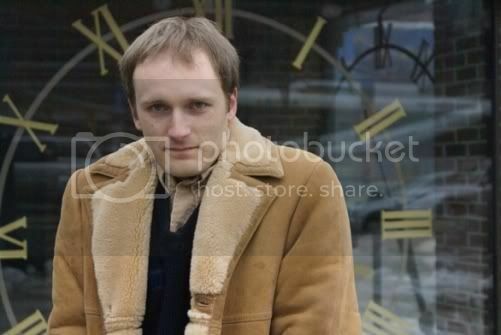 I saw this first hand when Tom played one of the RSL Live Music Showcases in Cambridge. (All the performers were great - my jaw was on the floor half the night.) The music of Tom Thumb is a an absolute feather in Boston's cap. 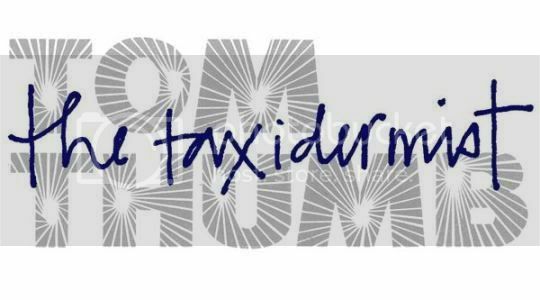 "The Taxidermist" gets 4.5 of 5 stars! It's a must-have record! 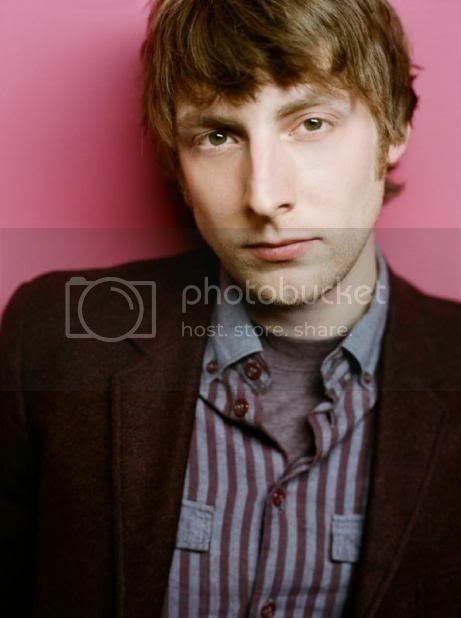 Editor's Note: I sat down with Eric Hutchinson before his latest Boston appearance this Summer. 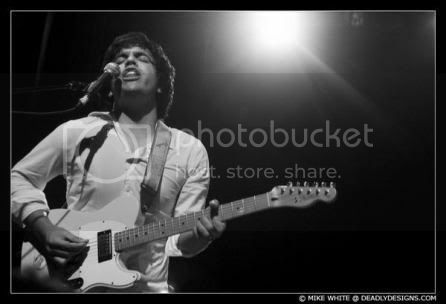 He was appearing at the Roxy with Missy Higgins. The 28-year-old Hutchinson was relaxed and it proved as an easy-going interview about songwriting, personal goals and the artist's source of inspiration. Since we spoke, Hutchinson had a song appear in a motion picture, he played before thousands of more fans including a nationally televised performance on the Tonight Show with Jay Leno. 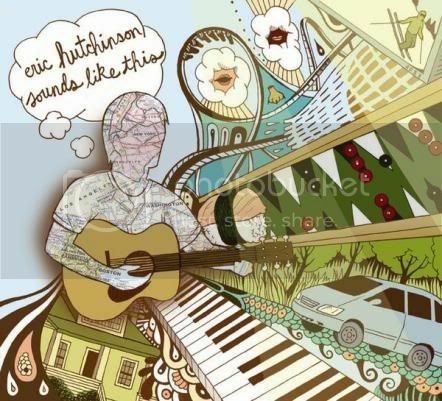 Hutchinson's songs are funky, witty soul-filled affairs. Eric is fiery and a spontaneous live performer, but the following interview demonstrates - he is sensitive to the needs of others and has some introverted tendencies. This is one musician who isn't flashy - he's down to Earth - and just a good guy. We chatted and laughed through much of our time together. Special thanks to Jen P for transcribing all our dialog. Eric and I talked for a long time. Best of luck to Hutchinson and his tour mates in the coming year. Ryan (RS): Hey Eric, welcome back to Boston. I understand you went to Emerson, so this is like a homecoming of sorts? Eric (EH): Yea, It’s really exciting to be here. I literally lived over here on Boylston and Tremont, so it’s one-minute walk from where I lived for four years. RS: Did you go out for a stroll? 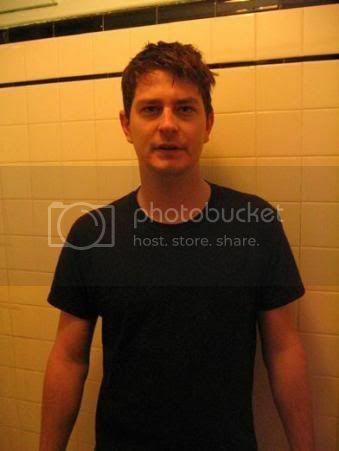 RS: Okay, who’s got the best food and beer in town, in your mind? EH: I’ll tell you what, I think we’re going to try to go after this over to Charley’s over on Newbury, I swear that’s the best hamburger I’ve ever had, maybe anywhere. RS: Excellent. So, talking about the new album, Sounds Like This, it’s really good. I wasn’t that familiar with your work that long ago, I’ll be perfectly honest with you, and I listened to it straight through and I went back and listened again. This album is great. RS: What kind of album is in your mind? EH: It’s funny you say that. To me, it is an indie album. You know I made it on my own, and I happened to have sort of pop sensibilities and stuff like that. It’s an album that takes the last couple years I’ve had and tells the story. It’s kind of like a snapshot of what my life was sounding like at the time. RS: Let’s talk about the road to get this album done then. Tell me about the last two years of your life now. EH: A year ago, I was just finishing up the album. Two years ago, I was waiting around to for my old label Maverick (a Warner Brother imprint) Do you know about this story, or not so much? EH: So I was signed to Maverick Records, which is Madonna’s label. 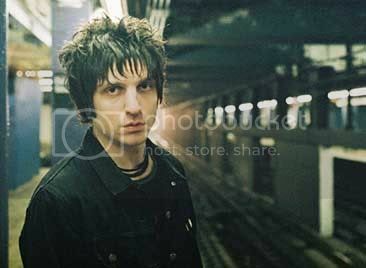 I got really pumped, and I was like, “Here we go!” At that time, I’d been doing it for about four years, so I was like, “Finally got my break.” And then I went to start making the album and I was like maybe a week or two into the demos and then Maverick folded into their parent company of Warner Brothers. And they said, “Well, don’t worry. We’re going to figure out what to do with you…” Then they put me on the shelf for about six months while they decided if they were going to keep me or not. They ended up dropping me. So I went off and made the album myself. RS: I didn’t know that. That must have been pretty tough. EH: Yeah, yeah. So I did it myself and then (blogger) Perez Hilton got a hold of it. A friend of mine from high school randomly sent it over to him. And Perez put it up on his site, and within the day, it jumped up into the top 10 of iTunes. I just independently had it out. EH: Yeah! (Smiling) It was an amazing lesson in the power of the internet and stuff like that because I could really see it, the power to introduce someone to new music: they can listen to it, like it, buy it and be a fan. And it all took place in like a half hour. RS: A webpage can do that; a magazine can do that; a book can do that; TV can do that; movies can do that. But the beauty of the blogs is that it’ an immediate thing. You get the music out there but if its not great people will see it immediately. RS: So what’s that life like, versus where you were a year ago? EH: (laughs a little, rolls his eyes.) So a year ago, I started working with a different manager. A lot of little things were different. I am working with some really good people now. I feel like the stars were really aligned to make things finally – finally - start to get going, you know? The label this time is really excited about it; and I’ve just been on the road all year. Things have been busy, We’ve only had a week or two off since last November. 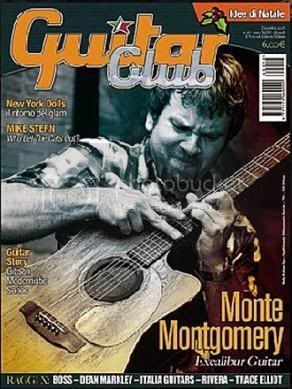 My goal during that time has been to touring, putting on good shows and being committed to the fans. 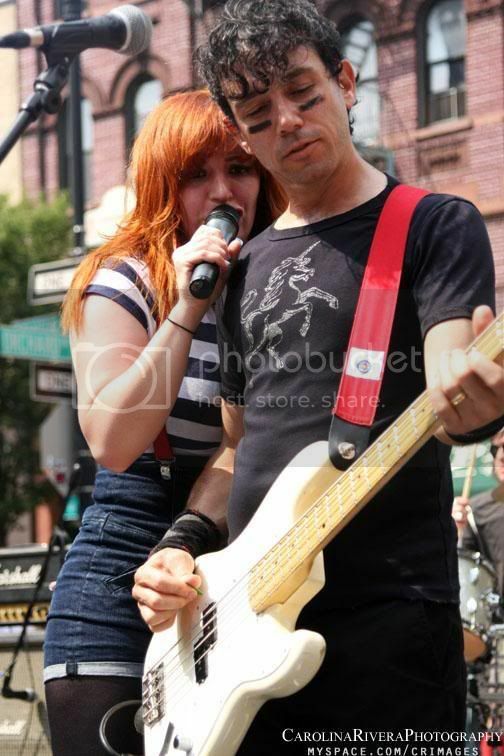 We have had some great shows. I’ve learned that if you get a song on the radio, it’s cool. But the people that really care are the ones that make it out to a live performance for an actual interaction. RS: I was just out front of the building. There’s a lot of girls out there now waiting to get in. RS: Are you writing while you’re touring? EH: Yeah. I’m always writing. It’s funny now, I get time off and that’s what I do: write and write and write. I’ve got about half an album of a new one done. EH: I’ve probably written 70, 80 songs since the last one was finished, but I’m really picky, and I think that’s what makes an album good. It’s gotta start with the songs. RS: For my recent interview with the Counting Crow's Adam Duritz, I posed this question to him. Can you take us through one of your songs and let us know how it evolved – from writing to performance? My guess is that the song might be played considerably different on the record than they are today live on stage. EH: Oh cool… That’s a good question. A lot of these songs—I wrote these songs and put them on the album while I was still getting to know them. I think the biggest change has probably been to “You Don’t Have to Believe Me.” There are two versions, and I like both. The way we play it now is a little funkier and a little more…like almost—this is like a bad word—but like BeeGees. Kind of like “Jive Talkin’” or something like that, you know? It’s like a little more of that. RS: It kind of sounds a little bit like it has a Stevie Wonder–influence in it. EH: It’s an extreme compliment. I appreciate it. EH: When I wrote that song, I was in a relationship with a girl that didn’t really have great self-esteem. It was sort of just a song I wrote for her, but I don’t think she actually heard it until it was almost done and on the album. I wanted to do something a little different. I was trying to write a respectful dance song towards women, which sounds silly… But, if you go back and listen to all the Motown stuff, that stuff was always about putting your mate on a pedestal and respecting them. RS: Is this a song you enjoy playing live? EH: Definitely. You know - It’s not very often where I start the show not in a good mood, but if it does happen that way, by the time we hit that song, it’s always like I’m finally up and running all the way. It’s like the top of the mountain and I can cruise down the rest of the way. RS: Take a song like this one.... Do you right the words first, or do you write the music? EH: Almost always the music comes first. But, like I’ve got a piece of paper in my hand, in my pocket right now I wrote down a couple of ideas. To me, there’s nothing worse than having a good melody and having nothing to write about. It’s tough right now because I’m happy. RS: I think maybe that’s a good problem to have. EH: I’ve made a conscious effort I don’t want to write songs about relationships really if I can avoid it because I feel like there’s so many other things to talk about. I think there’s lots of good stuff out there to write about out there. RS: So are you writing short stories? EH: Kinda, yeah. To me, they’re more like observations. I’m really more interested in the Gray Area of life. I feel like a lot of times in movies and music, everything is very black and white. It’s like, “I love you,” or “I don’t love you.” In reality, there’s, “I love you, but I’m married.” Or, “I love you, but you’re making my life fall apart.” There’s a lot of gray area. And, I think that’s the main theme that kind of ties all my songs together. RS: It’s sounds like you are becoming a bit of a poet. EH: (laughs) I am not a poet…I don’t think so, anyway. No. I think of myself as a songwriter. That’s the thing I have the most pride in, actually. I think of myself as a songwriter/singer. And a distant third: musician. RS: I would disagree, after listening to the album. The performances are great. But when you sit back and listen to the songs—how do you feel? EH: Well, I got to be honest. I don’t really listen to my own stuff all that often. It’s weird to me, because I talk about the songs, and you probably knows these songs better than I do at this point, at least the recorded version. I can’t remember the last time I actually listened to the album. RS: The songs take on a new life on the road. 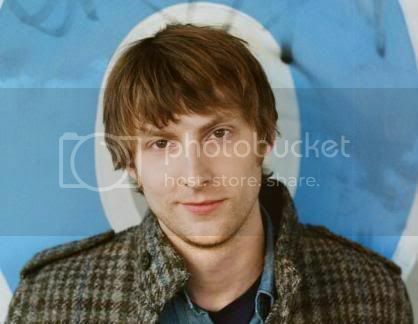 That’s very Ryan Adams. He does the same thing. Dylan did that, too – he moved on. EH: Right. It’s two things: I know if I sit there and listen to it, it’ll eat away at me. Listening to an old recording or the album is like listening to a photo album. I could remember all the stuff and who was playing what and how that part happened. The song, the performance has got shapes, and it shifts. And it’s a moment in time. To me trying to record a song is like getting a kid all put together to go out. You put a tie on him, trying to get him to look the best he possibly can in the picture. You take the shot, knowing he’s never going to look like that again. He’s going to grow and he’s going to change. To me, it’s like a snapshot of what I was able to do at the time. RS: I like that analogy. 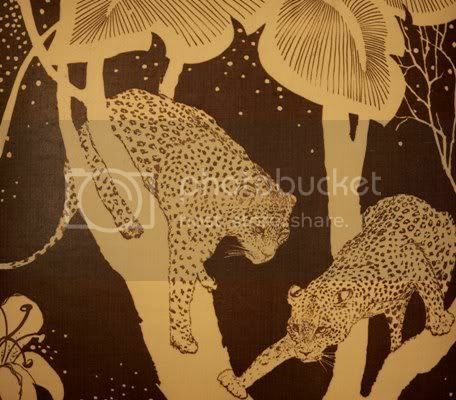 The spontaneous art is a little more important to you than the planned footprint. I think it must be tough to be both original and not to steal creatively from... To not keep writing the same song again and again when people like what they are hearing. EH: Yeah, there’s such a fine line between having “a sound” and being redundant. To have a style where people can hear your music and know it’s you, without being like, “I know it’s him cuz it sounds exactly like the last song he put out.” I have a lot of respect for the craft of songwriting. RS: I know you are touring the old material and focused on Sounds Like This right now, but when can we expect some new songs? EH: I don’t think the album would start to get recorded until next year. We’re pretty much just touring all year. So hopefully sometime in ‘09. In the meantime, when we’re the headliners, we’re road-testing new songs. RS: Now this is the fun part of our interview. If you could play with any musician alive, who would you like to jam on stage with? And what would you play? EH: The problem is, all the people I really love I still don’t think I have any business being on stage with them... I would love to play with Stevie Wonder have him do a quick harmonica solo on it or something. Let’s see…Kanye West is somebody I’d really love to collaborate with. I really really love his albums. RS: If you were going to cover anybody stuff, either on an album or live, who would you like to cover? EH: I’ve been looking for a good soul song. A song that people like and gets them excited. But one that’s not too played out or too familiar. I haven’t found it yet. I’m trying to figure it out. 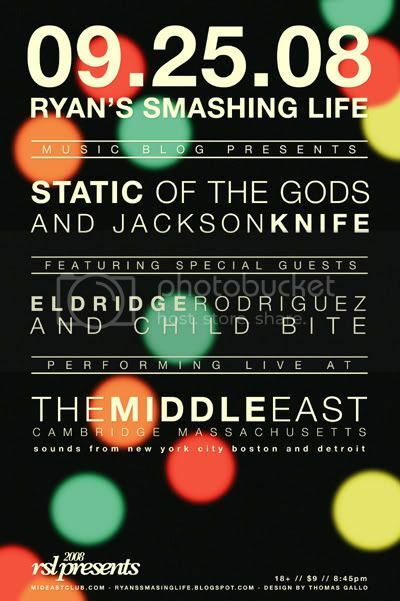 First of all, if you are going out this evening - and you find yourself in the greater Boston Metroplex, you should be heading over to the RSL Music Blog live showcase at the Middle East. I can't stress this enough - a great show, five acts - a low, low price. And it's open to you under-aged kids too. Barring that... You should turn on Letterman tonight for a little Morningwood. 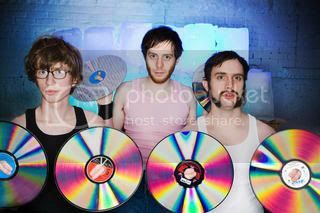 This salty sweet indie rock band from NYC plays for Dave tonight. Tune into CBS at 11:30pm ET/PT tonight and check out a live performance of Morningwood's new song "Sugarbaby." The Band's New Video ~ "Sugarbaby"
Static of the Gods - Brand New Demo! - "True North"
A brand new demo available exclusively on Ryan's Smashing Life! 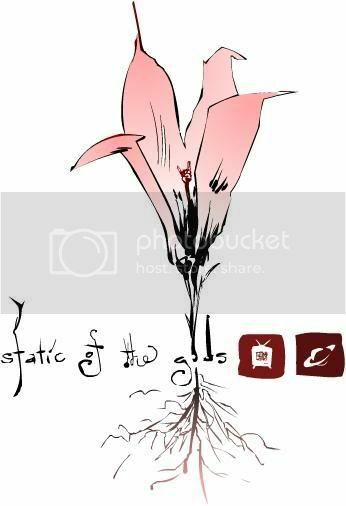 The City's own Static of the Gods headline the RSL Music Blog live showcase at the Middle East in Cambridge tomorrow night. Our sixth live showcase of the year will serve as the launching pad for the band's 2008 National Tour. Along with some old favorites, fans on this tour can expect to hear all kinds of new songs from the forthcoming full-length Static of the Gods record. WORLD PREMIERE - "TRUE NORTH"
You can't get this single anywhere - but here - right now. BRIAN WILSON Video / Streaming Media / Giveaway! Watch this one All the Way through for the fun ending! 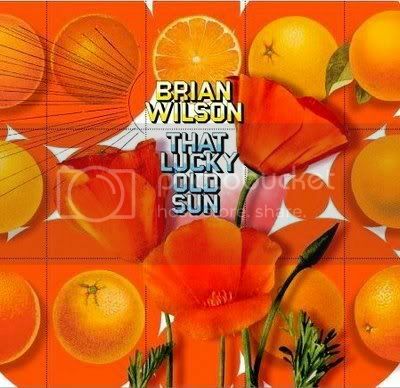 Ryan's Smashing Life and Cornerstone Promotion have one Sweet Vinyl Giveaway .... We have a very cool, limited-edition 180-gram vinyl copy of Brian Wilson's "That Lucky Old Sun" for one lucky blog reader. We will sweeten the deal by throwing in a wicked cool 7" vinyl single of Wilson's "Midnight's Another Day." These are must-haves for vinyl collectors. To enter: send us an email to therslweblog (@) gmail (.) com with the subject line, "BRIAN WILSON VINYL." Be sure to provide your full name inside the email. Many will enter. One will win. Good luck! A Stellar Album, In Stores Today! EXPECTATIONS & REWARDS: We were expecting good things from Michigan's Mason Proper this year. 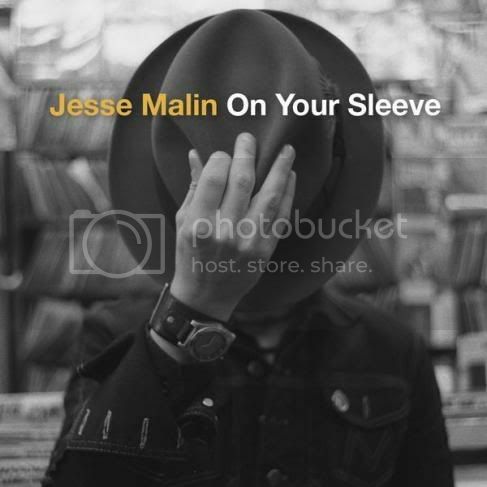 The band's 2007 debut There Is a Moth in Your Chest was very good (RSL Top 40 Albums of the Year, 2007) and the release of the band's Shorthand EP this Spring boded very well.... But we were overwhelmed by what we heard from the Jonathan Visger and the rest of Mason Proper (Zac Fineberg, Garrett Jones, Brian Konicek, and Matt Thomson) on the band's new full length LP, Olly Oxen Free (in stores today). Suffice it to say, this one hits on all cylinders and Visger has crafted an album that plays like a collection of stories with ten individual tales within. Each track draws influences from the far reaches of music-dom. This is the first absolutely must-have record to be released this fall season! Run Out and buy the new record. Press Play. On Olly Oxen Free, we heard elements of David Bowie, The Flaming Lips, Brian Wilson, The New Pornographers, Of Montreal and - really so many more... This is a record made by people who like good music... Where the record succeeds is really where modern popular music does. And while influenced and steeled by their music passions, Mason Proper has crafted a "Smart Rock" album that is far from derivative. The Ears, The Heart and The Mind. The tracks on the record begin internally - and grow stronger with each successive heart beat. We aren't quite sure yet if we are in Visger's head or if he's in ours - but this record manages to enthrall on a very basic level. "Safe for the Time Being" is the best example of this as, Visger seems to be talking directly to us at the start.... "Ohhhh My God....." He says and we are in the moment. The band soon joins in and the song opens up like an envelope. As I indicated before, each track on Olly Oxen Free is its own animal and distinct in nature. On "Out Dragging the River" the track begins with a single note repeated on a piano. "Fog," one of our favorites, begins with a rumble. We can literally feel the confusion and feelings of loss rolling in. Amidst the careful production and all that effort, there is something very playful and fun about these songs. Mason Proper laments the loss of childhood's simplicity while still crafting a track that lives in that world with "Point A to Point B." The song is a clever juxtaposition of simplicity, intent and angst. Like the rest of the album, this track works on more than one level. The protagonist here tries to come to terms with his adult problems in light of the adult reality - the daily grind. Pick up the album. stellar poster art by Thomas Gallo! This one features Boston's STATIC OF THE GODS. Right now, SOTG is the city's best live show. The band is embarking on their national tour this week... A whole lot of people are going to find out just how special this group is. 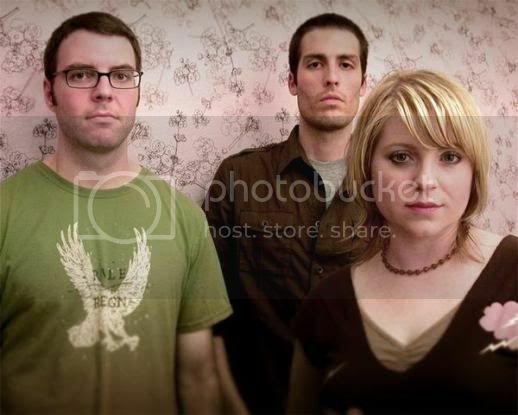 Static of the Gods is Jen Johnson, vocals and guitar, Mike Latulippe on drums, and Ben Voskeritchian on bass & guitar. They play the songs on Thursday - then hit the road! 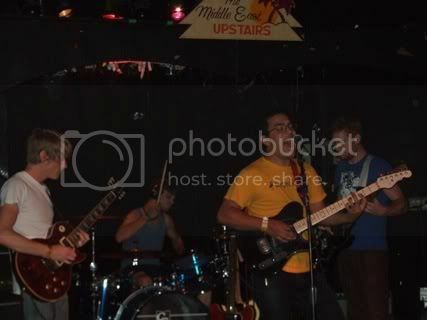 One of the Best Indie Bands on the East Coast! Jacksonknife's great sound and superior song arrangements were brought to the fore with their studio time this year with producer Kyle "Slick" Johnson (Modest Mouse and The Hives). This is a chance to see one of the best indie rock bands on the East Coast. HIGHLY RECOMMENDED! Creative, Fiery, Deep and one of Boston's Best. "The city's Dark Beating Heart." "The Future, it hurts my eyes!" A truly One of a Kind Synth Experience!!! Iceland comes to Boston - Sigur Ros tonight! This Download will Only Be Available until Sunday at Midnight! THIS LIVE DOWNLOAD HAS BEEN RETIRED. 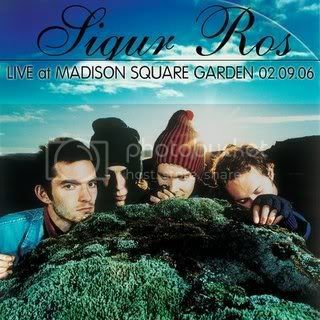 Check out Sigur Ros' new album, "Með suð í eyrum við spilum endalaust" on their web site and on myspace. The band was the subject of a Joan Anderman piece in the Boston Globe today. Check out "Heima" - the band's beautiful music movie (2008), here. 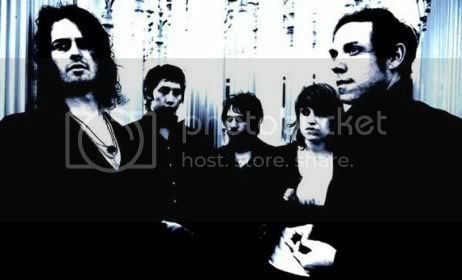 Great band. Phenomenally talented! 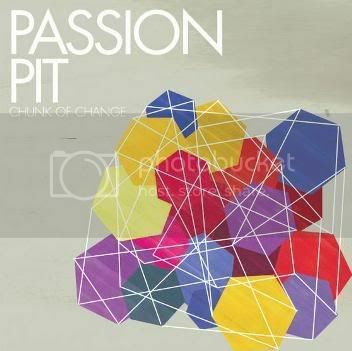 BOSTON DANCE & SOUL: World Premiere of Passion Pit's debut album Chunk of Change happens tonight. 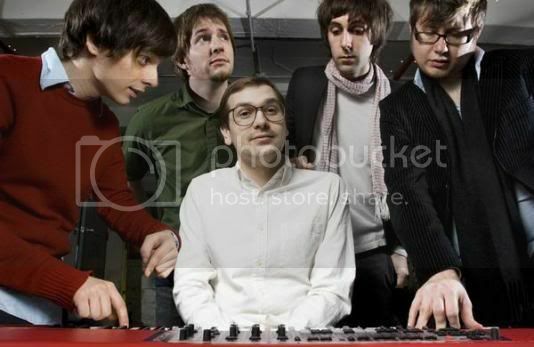 The band (consisting of Michael Angelakos, Ian Hultquist, Ayad al Adhamy, Jeff Apruzzese, and Nate Donmoyer) have already blown away audiences opening up for Death Cab For Cutie, Girl Talk, and These New Puritans. 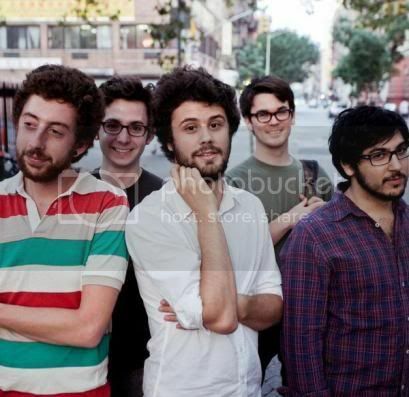 Passion Pit even took home the WFNX/Boston Phoenix Best Music Poll's "Best New Local Act" prize for this year. After hearing the new EP four ourselves - we predict that Passion Pit may soon be known as Boston's Hottest Export! PASSION PIT plays GREAT SCOTT TONIGHT! Chunk of Change is on sale now. 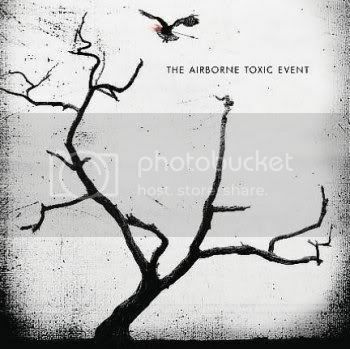 For those who might not know, The Toxic Airborne Event are a promising act out of Los Angeles who have - (predictably) been made to inexplicably suffer the slings and arrows of yet another Pitchfork slash and burn piece. It's hard to understand the rationale of why such a quality act would be relegated to a scalding 1.6 grade from Pitchfork while more trashy acts with very little originality have scored much more highly with their writers. Is the art of "the honest review" lost...? The goal of criticism should not be wrapped up in one's latent nastiness. Reviews should not serve as a platform for the reviewer's regular exposition proving their elitist ego-centrism... Criticism may include those things if it is absolutely required. But negativity and snark need not be the start and ending point of every piece. One is left wondering where it was that Pitchfork lost it's way. Reviews from America's Worst Music Journalists. Let me know if I missed any good ones. We decided a long time ago not to take reviews too seriously. 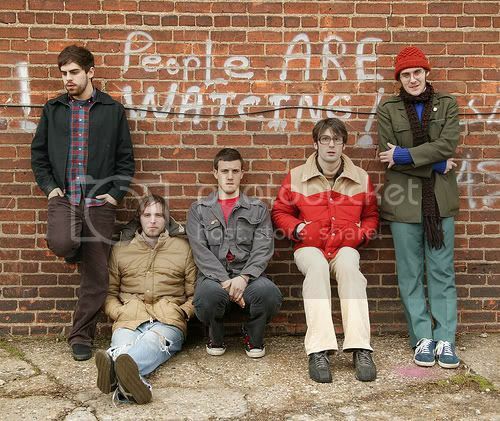 For one, they tend to involve a whole lot of projection, generally saying more about the writer than the band. Sort of a musical Rorschach test. And for another, reading them makes you too damned self-conscious, like the world is looking over your shoulder when the truth is you're not a genius or a moron. You're just a person in a band. Plus, the variation of opinions on our record has bordered on absurd. Most of what's been said has been positive, a few reviews have been on the fence and a few (such as yours) have been aggressively harsh. We tend not to put a lot of stock in this stuff, but the sheer disagreement of opinion makes for fascinating (if not a bit narcissistic) reading. And anyway we have to admit that we found ourselves oddly flattered by your review. I mean, 1.6? That is not faint praise. That is not a humdrum slagging. That is serious fist-pounding, shoe-stomping anger. Many publications said this was among the best records of the year. You seem to think it's among the worst. That is so much better than faint praise. You compare us to a lot of really great bands (Arcade Fire, the National, Bright Eyes, Bruce Springsteen) and even if your intention was to cut us down, you end up describing us as: "lyrically moody, musically sumptuous and dramatic." One is left only to conclude that you m ust think those things are bad. We love indie rock and we know full well that Pitchfork doesn't so much critique bands as critique a band's ability to match a certain indie rock aesthetic. We don't match it. It's true that the events described in these songs really happened. It's true we wrote about them in ways that make us look bad. (Sometimes in life you are the hero, and sometimes, you are the limp-dicked cuckold. Sometimes your screaming about your worst fears, your most trite jealousies. Such is life.) It's also true that the record isn't ironic or quirky or fey or disinterested or buried beneath mountains of guitar noodling. As writers, we admire your tenacity and commitment to your tone (even though you do go too far with your assumptions about us). You're wrong about our intentions, you're wrong about how this band came together, you don't seem to get the storytelling or the catharsis or the humor in the songs, and you clearly have some misconceptions about who we are as a band and who we are as people. But it also seems to have very little to do with us. Much of your piece reads less like a record review and more like a diatribe against a set of ill-considered and borderline offensive preconceptions about Los Angeles. Los Angeles has an extremely vibrant blogging community, Silver Lake is a very close-knit scene of bands. We're one of them. We cut our teeth at Spaceland and the Echo and have nothing to do with whatever wayward ideas you have about the Sunset Strip. That's just bad journalism. But that is the nature of this sort of thing. It's always based on incomplete information. Pitchfork has slagged many, many bands we admire (Dr. Dog, the Flaming Lips, Silversun Pickups, Cold War Kids, Black Kids, Bright Eyes [ironic, no?] just to name a few), so now we're among them. Great. This band was borne of some very very dark days and the truth is that there is something exciting about just being part of this kind of thing. There's this long history of dialog between bands and writers, NME ripping apart the Cure or Rolling Stone refusing to write about Led Zeppelin -- so it's a bit of a thrill that you have such a20strong opinion about us. We hear you live in Los Angeles. We'd love for you to come to a show sometime and see what we're doing with these lyrically moody and dramatic songs. We're serious about this stuff. You seem like a true believer when it comes to music and writing so we honestly think we can't be too far apart. In any case, it would make for a good story. 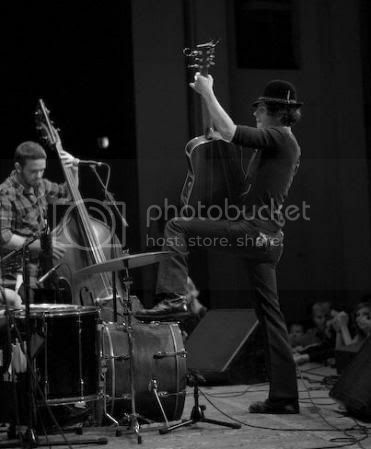 Best of 2008: Langhorne Slim - New Stuff - Restless! RSL ALBUM GRADE: 4.5 STARS of 5.0 - MUST HAVE! The self-titled album (which you absolutely must go out and pick up) is in stores now! The new single from Langhorne Slim's record is "Restless" - and it's actually our favorite track from the record. Full of melody and soul, the video finds an unlikely woodman venturing out... A must see! Meet & Greet with Amanda in Boston! Amanda will sign copies of Who Killed Amanda Palmer? Can't Get into Boston? Another giveaway! with "Amanda Palmer" in the subjectline. One winner will get an autographed poster! Labels: Amanda Palmer, Dresden Dolls, New Record, Who Killed Amanda Palmer? Exciting New Release! Keith Lynch is the creative brain and considerable music muscle behind Unknown Component - a prolific song project releasing its seventh studio album this week. UC is just about one of the best examples I have ever seen of positive DIY mentality (DIY is the true indie). Lynch lives in Iowa but with the use of modern technology he is capable of reaching listeners around the globe - his songs are well crafted and produced and the sounds grow on you quickly. 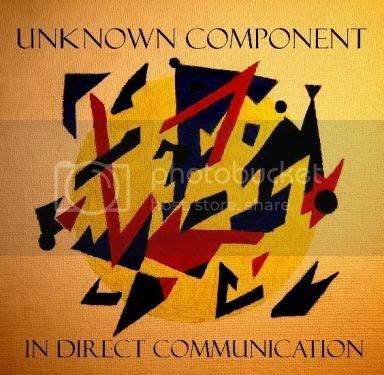 The songs on In Direct Communication, Unknown Component's latest full-length release, is an unlikely creative hammer striking the anvil of indie pop. This one should heard by the masses. One thing is certain: the tracks on Direct Communication are driven by a strong and steady hand by Lynch. As with all projects, there is room to grow and improve (generally speaking, we would like hear this stuff be a just a bit more fluid and less structured) but the precise chemistry and hard work poured into this project by Lynch really shines through... Unknown Component does not fail to impress - with this level of talent and focus, we look forward to see what happens next! ON THE RECORD: The song Identifying Interpretation, is a mouthful, but this track's a real winner. Lynch croons above the clean sounds of piano/keyboards and guitar - helping to transport the listener to a different state of mind. "Interpretation" is a champion of dissonant pop and a real winner on the record. Into the Sun is a quality transitional track - one that fulfills the spirit of the songwriter but helps to keep place on the record . It seems to work on all accounts. We listened and imagined ourselves rollerblading down the boardwalk of a seacoast town on a sunny day... Imagination helps when you are listening to such good stuff! BragginBilly here, Ra Ra Riot (they of the rock n' roll cello) has been a favorite of this blog since Ryan and I first caught them opening for The Editors last year. I've seen them a couple times since and they consistently put on a great show. 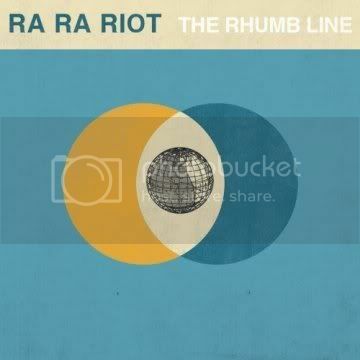 Recently we had the chance to sit down and listen to Ra Ra Riot's latest effort, The Rhumb Line. For the uninitiated: this LP offers up a handful of reproduced tracks already offered up on Ra Ra Riot's self-titled debut EP distributed last year. (The 'old' tracks sound fantastic - even better this time around!) The remainder of the songs on this full-length album are all new. This visit to the studio brought some great new textures to the music. One much improved aspect on the new record: listeners hear a lot more of Mathieu Santos' work on the bass, which is just outstanding. BEST OF WHATS TO COME - New songs like St. Peter's Day Festival stay within their own unique sound while the dominant "80s style" keyboards in Too Too Too Fast is a bit of a departure - but a good one, sounding just a bit like the New Pornographers. Having signed to Barsuk Records (Death Cab for Cutie, Mates of State) earlier this year - the band are finally getting some well-deserved backing these days. And while Ra Ra Riot are technically a Syracuse, NY band, but you wouldn't know it from the following that their frequent Boston shows have earned them. At this point, Ra Ra Riot pretty much have a home-field advantage wherever they go. Folks here in Boston can catch them in the Downstairs Room at the Middle East on October 18. Don't miss out! Jaw-Dropping Acoustic Version of "Little Wing"
With Sunfold, as with Fancey and Prints, what you take from these tracks is up to you. Clearly, however, these song are a celebration life, love, self-discovery and sunshine. The tracks dance on the fine line between indie pop, jam band aesthetics, ethereal haze, country western Americana, and mixed media beats. Kenny Florence steps out in a major way on this songs and a major 'thank you' should go to his Annuals band mates in making that happen. 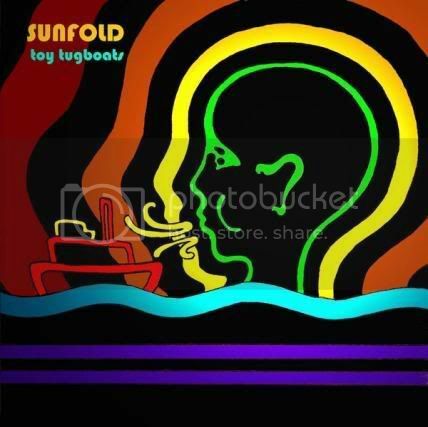 Toy Tugboats by Sunfold - It's a beautiful thing. 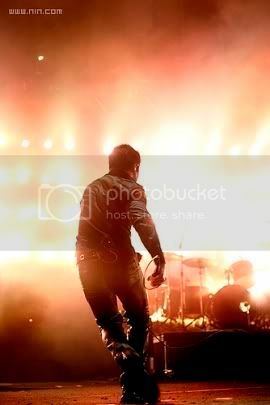 Trent Reznor certainly does go his own way... The music genius in him continues to thwart critics who want to shorten his career. Reznor's rebel business sense has allowed him to snub the industry dinosaurs by giving away free material (read!) 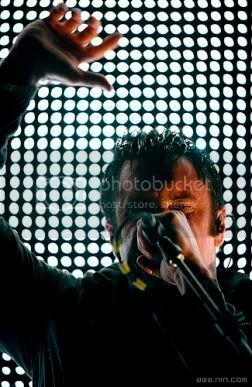 and staking his living on NIN's ability to draw fans and sell merchandise. 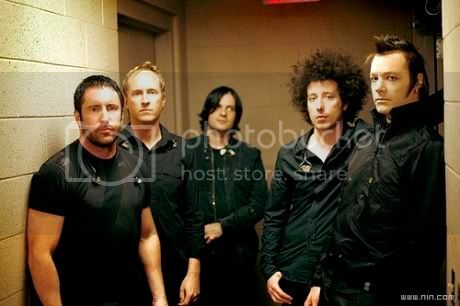 And despite all the odds - Reznor's succeeding... The rest of the band (from left - John, Ally, Justin and Robin) have proven to be up to the task and have helped the band wow audiences from coast to coast this year. This is one of the biggest road shows going right now. Nine Inch Nail fans in New England can find this out for themselves as two new dates are coming up just around the corner. Here are the details... including the presale information you need to have! * best bet for great tickets! 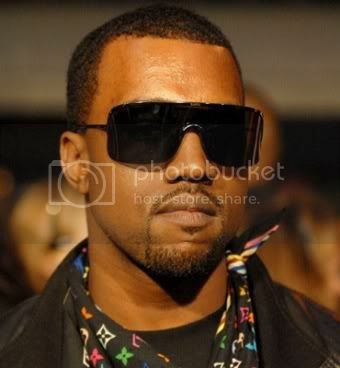 Kanye West - You Camera Smashing Freak! Some readers are having trouble with this video.